The Parochial Church Council pursues the Occasional Offices as opportunities for Mission and an occasion to welcome those outside the church community. Applicants for Baptism, whether adults themselves or on behalf of their children, are encouraged forward to the actual service and pledging of vows. The family meet the vicar in an informal meeting, usually at the Vicarage, where expectations and commitments are discussed. The role of godparents is also looked at. Dates and times are then arranged and families are encouraged to attend worship beforehand. Baptisms are usually within Sunday worship, either All Age Worship or Sung Eucharist. We do not charge for Baptism but family and guests are asked to make a freewill offering. 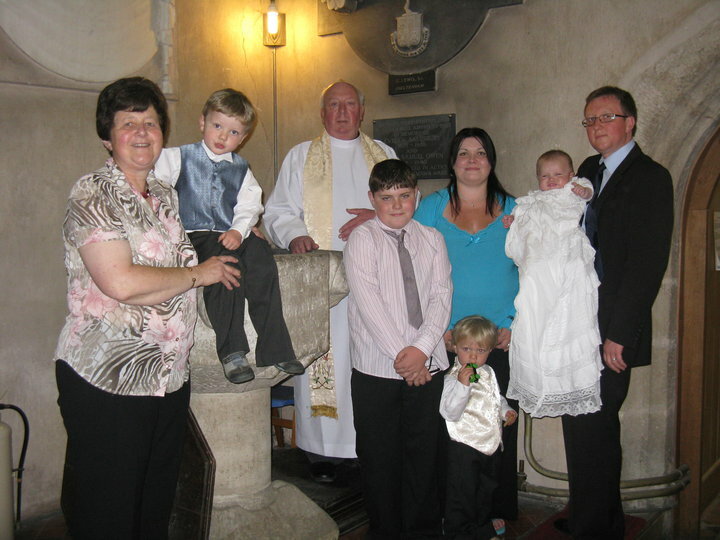 Being a small Parish we have around 12-15 Baptisms per year, mostly from within the Parish or people with connections with the Parish. We sow the seed and wait for the Holy Spirit to bring it to fruition!